Is Loaded Movement Training the Future of Fitness? Can Personal Training Get Too Personal? Maybe you’ve been teaching the same group exercise class in the same time slot for months or years on end. If so, you may feel your sweat sessions are stuck in a repetitive fitness rut. Even worse, your clients may agree! 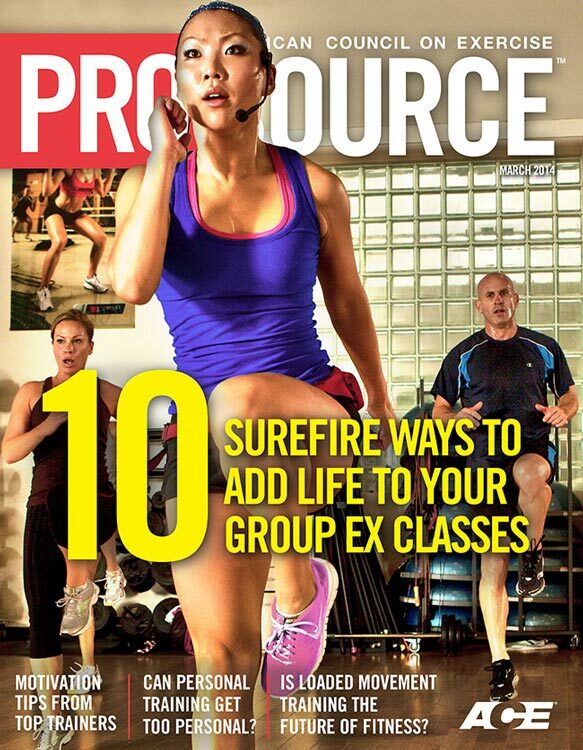 Here are 10 surefire ways to get into a new group-ex groove and reignite your passion for class. “It’s very easy to get in a musical rut, so try changing the type and style” of your class picks, says Karyn Katterman, an ACE-certified fitness professional and group exercise director at the YMCA in Asheville, N.C. If you normally use pre-mixed music, experiment with a custom set you make from scratch, Katterman says. 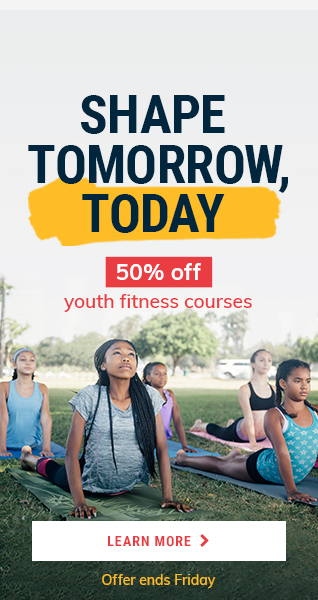 Or, offer one or two “unexpected” selections during class beyond the usual Top 40 pop, such as classical music for spinning, classic rock for strength training or opera for stretching. “There is a huge library of music that exists now, and with the Internet and sites such as Spotify and Deezer, it is easy to find new music for class,” agrees Fred Hoffman, an award-winning industry consultant and author of Going Global: An Expert’s Guide to Working Abroad in the International Fitness Industry (Healthy Learning 2011), who lives in Paris, France. Just be careful not to violate music copyright restrictions. Hoffman also recommends the custom-mix options from Yes Fitness Music (MyMix.YesFitnessMusic.com) and Power Music (ClickMix.com). Every studio has some—once-popular, semi-abandoned training toys, gathering dust in the corner. The exact options will vary between facilities, but often include Thera-Bands, Figure-8 tubing, Reebok Slides, jump ropes or stretching straps. 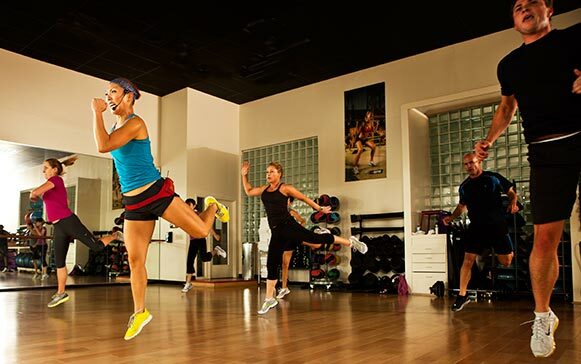 Unfortunately many group exercise studios have harsh fluorescent lights that provide all the atmosphere of a high school cafeteria. But several hundred dollars of wall sconces, track lighting, colored gel covers, or even portable lamps can completely transform the look and feel of a room, say our experts. But don’t despair if your studio manager says new lighting isn’t in the budget. Experiment with your own LED candles, string lights or lamps for a quick and cheap mood change, says Bomar. To generate buzz and up your class’ fun factor, throw down the gauntlet with short-term, individual fitness goals for participants. This might be a six-week challenge to lose a few pounds or inches, says Hoffman. Or it could be strength-based, says Katterman. For example, repeat a small set of simple exercises (such as push-ups) each week for a month. Have members track the number of repetitions they complete each week, per exercise, so they can see their progress. Or, “take advantages of the holidays and add some spice to your classes with themes like a ‘turkey burn’ cycling ride for Thanksgiving, dressing up for Halloween, or hosting a Super Bowl-themed circuit class with ‘game day’ music, team challenges and a MVP prize,” says Dixon. Communicate the special theme at least a few days in advance so participants have a chance to prepare, adds Bomar. And be sure to allow participants to opt out of the “extras” such as costumes if they prefer, adds Hoffman. No longer solely the scope of mind-body classes, an enhanced and extended stretch-and-relax portion of class can change up your routine while offering participants a much-needed treat, says Hoffman. “Have the students pick their all-time favorite tunes and moves or combinations you have done, and create a mash-up of their favorite things,” Katterman adds. Of course, check with your manager before heading outside, as there may be insurance issues to consider. The more participants enjoy the camaraderie of your class, the more likely they are to return. Get to know your student’s names and interests and make an effort to create a sense of community in your class, says Dixon. To do so, include partner drills during the strength segments of a class, says Bomar. These might include medicine-ball throws between partners, or low rows performed facing each other with intertwined exercise tubes. “This is a great way to get the group interacting and encouraging one another,” she says. Another idea? Create fun in-class drills or mini-competitions, says Dixon. For example, one person could hold a plank while his or her partner sprinted across the studio and back, after which they would switch places in a fun relay race to cap off the “hard work” portion of class. Instead of always teaching “theater-style”—you up front with participants scattered around the room, facing forward—think of different ways you can orient your students, such as facing the side or back of the room for part of class. Katterman: “Hold a ‘Zumba Idol’ (or any cardio-dance modality) competition. Have a panel of judges and let members compete on best routine/performance. Hoffman: “Use YouTube and other video-sharing sites to see 'what’s out there'... My personal experience is that there is a lot of content that is not for me, but I often will see one or two things that I like and can use or that inspire me. Also consider using a fresh approach to moving participants around the room. You might have students crisscross the room with shuttle runs, or travel in a circle using walking lunges, for example. Especially for novice instructors, it can be tempting to stay in one’s comfort zone and offer similar exercises, sequences and set-ups week after week. Eventually, however, this approach leads to boredom and attrition for both instructors and students. The good news? There’s no need to overhaul everything overnight. Instead, challenge yourself gradually and add one fresh idea, every one or two weeks. The bottom line: Keep learning, keep trying new ideas, and you’ll keep them coming back for more! Megan Senger is a writer, speaker and fitness sales consultant based in North Carolina. Active in the exercise industry since 1995, she holds a bachelor’s degree in kinesiology and English. When not writing on health and lifestyle trends, techniques, and business opportunities for leading trade magazines, she can be found in ardha uttanasana becoming reacquainted with her toes. She can be reached at www.megansenger.com. You can create buzz in your classes by ______________________________. Which of the following is NOT a recommended way to increase interaction among participants in a group fitness class?